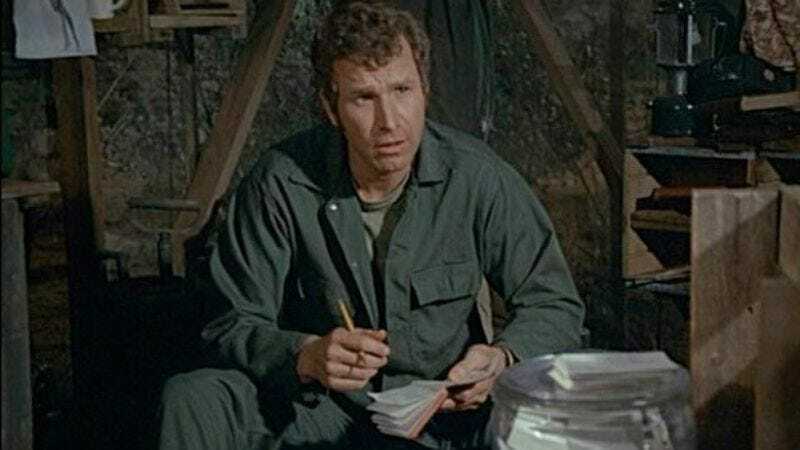 As reported by multiple outlets, actor Wayne Rogers, best known for his role as Trapper John McIntyre on M*A*S*H, died on December 31 due to complications from pneumonia. He was 82. Rogers was born in Alabama in 1933, and before he became an actor, he earned a history degree from Princeton University and served in the Navy. He had many different roles in various TV shows throughout the ’50s and ’60s, including recurring appearances on Stagecoach West, The FBI, and Gunsmoke. In 1972, though, he was cast in his most famous role, Trapper John in M*A*S*H. Supposedly, Rogers initially planned to audition for the role of Hawkeye Pierce, but he chose Trapper John instead when he decided that Pierce was too cynical of a character. Of course, Alan Alda eventually got the role of Hawkeye Pierce, and made the wisecracking doctor into the show’s breakout character. This inspired the show’s writers to focus on Pierce more than Trapper John, which frustrated Rogers and eventually drove him to quit the show. After M*A*S*H, Rogers appeared on House Calls, Murder She Wrote, and City Of Angels, but he also started setting his sights beyond acting. In the ’80s and ’90s he became a successful investor and real estate developer, and in recent years he even appeared as a panelist on Fox News’ business shows. Rogers is survived by his wife, two children, and four grandchildren. Alan Alda posted a tribute to Rogers on Twitter, which is below.